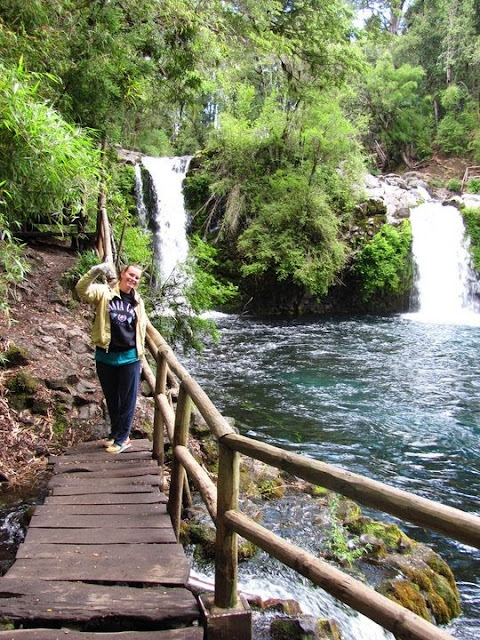 Last week Kristy and Glen, our Etnico Eco Hostel friends, rented a car and invited Laura and I to come along for an adventure drive (it's what we are calling it) to some waterfalls outside of Pucon. 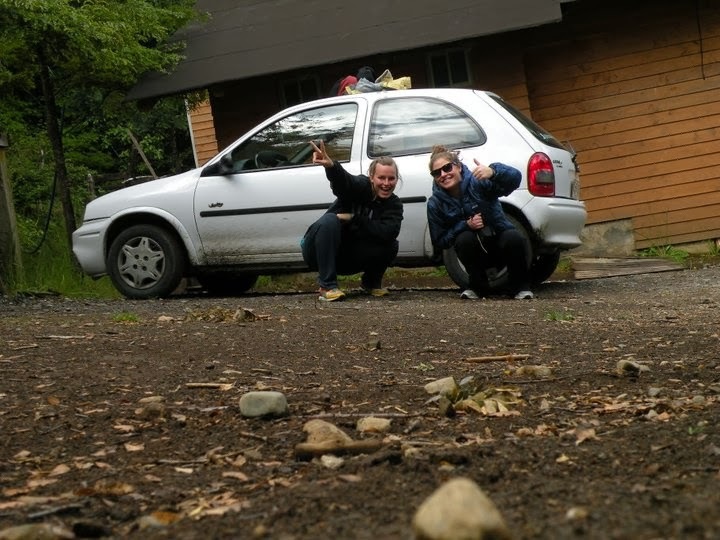 It was a great day, off-roading in a two door car stopping at waterfalls and seeing the country side. Kristy and Glenn are both raft guides back in the US. They are down in South America for a couple of weeks rafting... can you call it a vacation when you are doing your job? 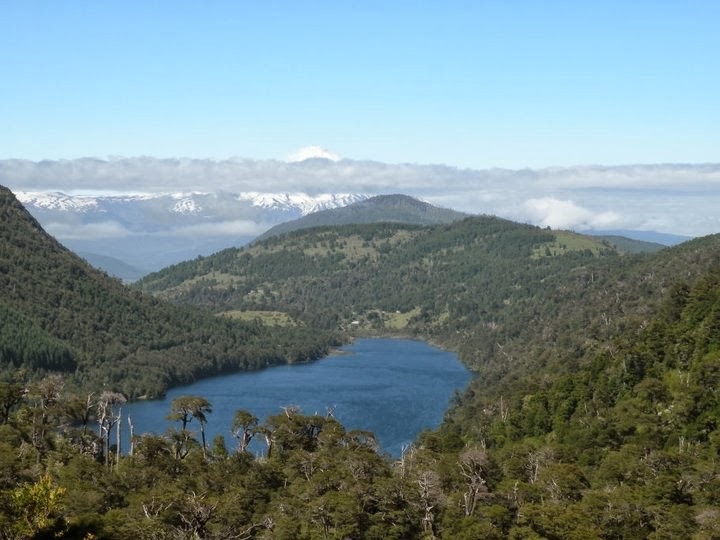 Yesterday, Laura, Kristy, Glenn and I went to Huerquehue National Park. We went on a 8 mile hike up to some lakes in the hills. What a beautiful sunny day but next I should remember to not wear jean shorts.